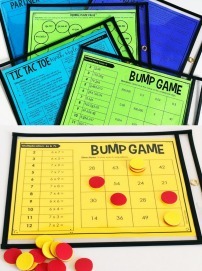 Solving multi-part math constructed response tasks is such a tricky skill for my students. 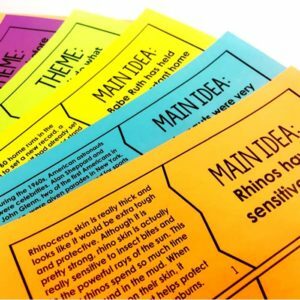 Not only is the actual solving of the problems tricky, but my students also struggle with organizing their responses and their work. I have spent a lot of time this past school year thinking of how to combat that and help scaffold my students. 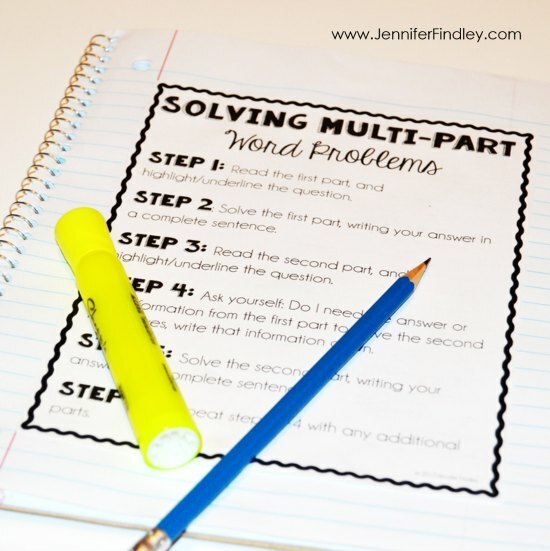 This post sums up what I have come up with so far to help, including a free printable of the steps my students take when solving multi-part math problems and tasks. To me, the most important step will be Step 4. 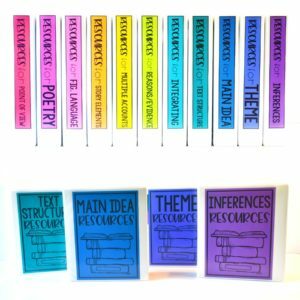 This will force the students to think about whether they need to carry over any existing information for the additional parts. I require my students to actually write the information that is needed from the other part(s) or to write that no information is needed. Here is an example of a constructed response task that has been completed using the steps from the chart. As you can see the information that was carried over from Part A was recorded. 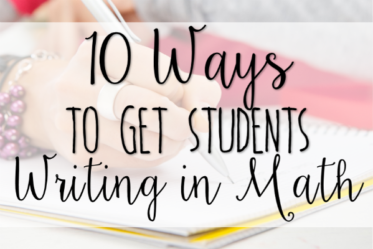 Eventually, the students will get to the point where writing this is no longer necessary, but this will definitely help them in the beginning and make this internal. Here are a few more examples. As you can see on the bottom example, part B required no additional information from part A. 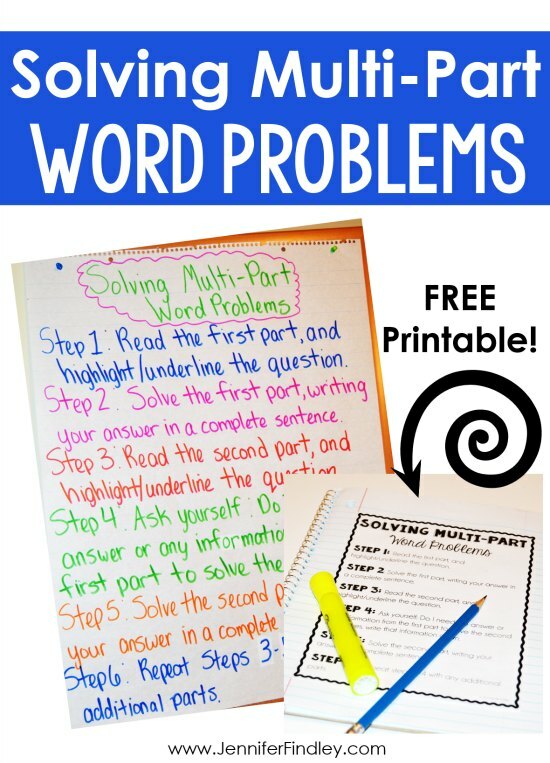 If you think these steps will be helpful for your students or for you as you model thinking through solving complex math tasks with multiple parts, click here or on the image below to grab the poster for free. 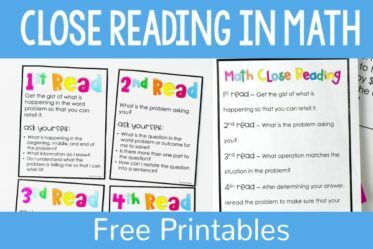 You can use this to guide your anchor chart and then give students a copy to refer to when they are solving multi-part math tasks. 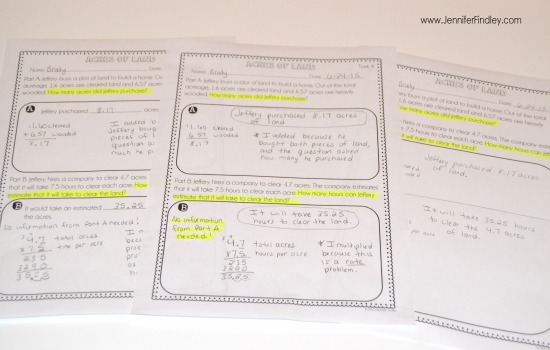 Need Multi-Part Math Tasks and Word Problems? 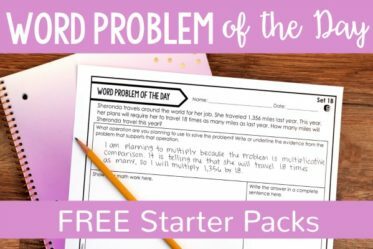 The particular resource that I use to teach multi part word problems and constructed response math tasks comes with three different versions of each task. The tasks themselves are not differentiated, but the response part is differentiated. 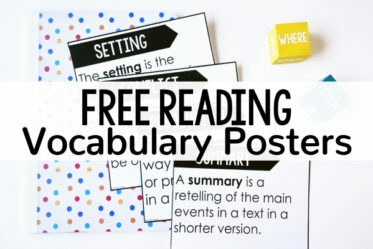 The first level has sentence stems to help the students respond in complete sentences. The second level has no stems but separates the work space for each part. The final part (where I will eventually move all my students to) has no stems and no separate work space. 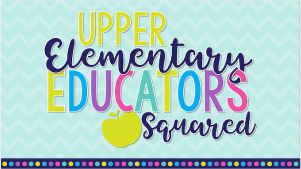 The students will be expected to organize their answers on their own with no scaffold. 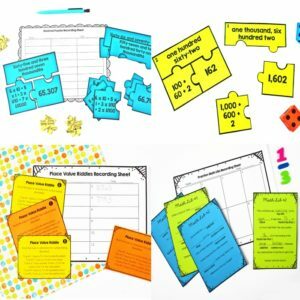 Click here to see the bundle that includes 60 math tasks (20 Whole Numbers, 20 Fractions, and 20 Decimals). 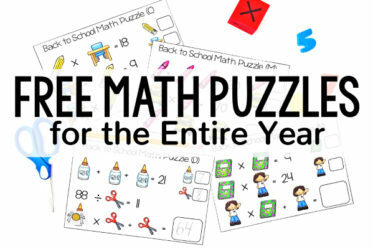 Want to try a free math task? 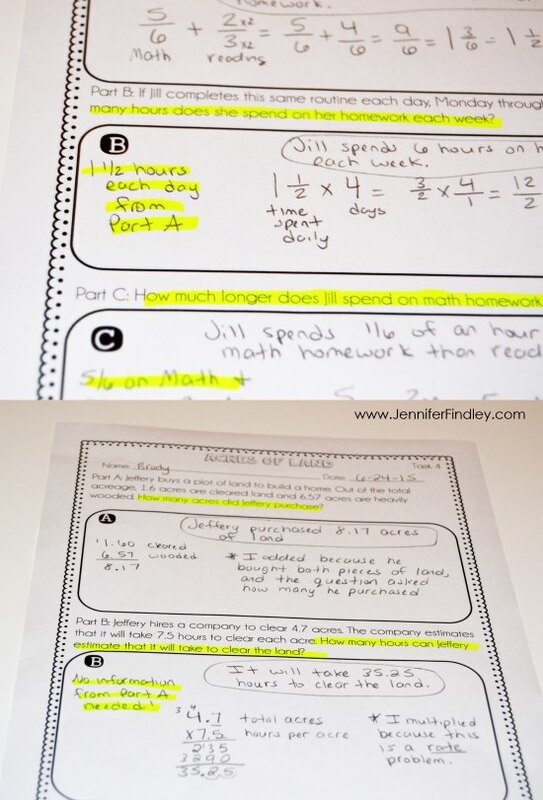 —-> Click here to grab a free math constructed response task with multi-parts. 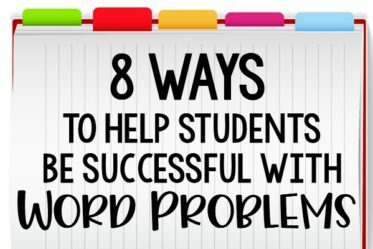 How do you help your students solve multi-part math tasks and word problems ? Let me know in the comments! This is great! 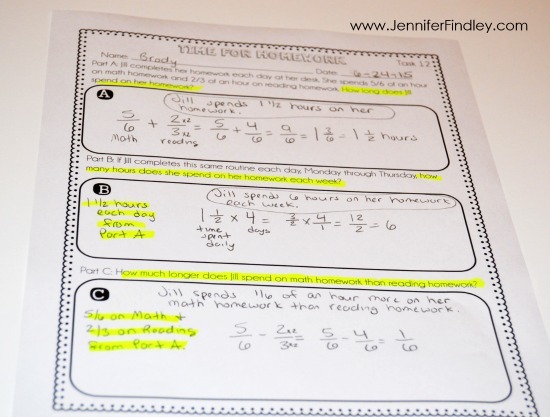 Learning how to conquer multi-step math problems is so important! 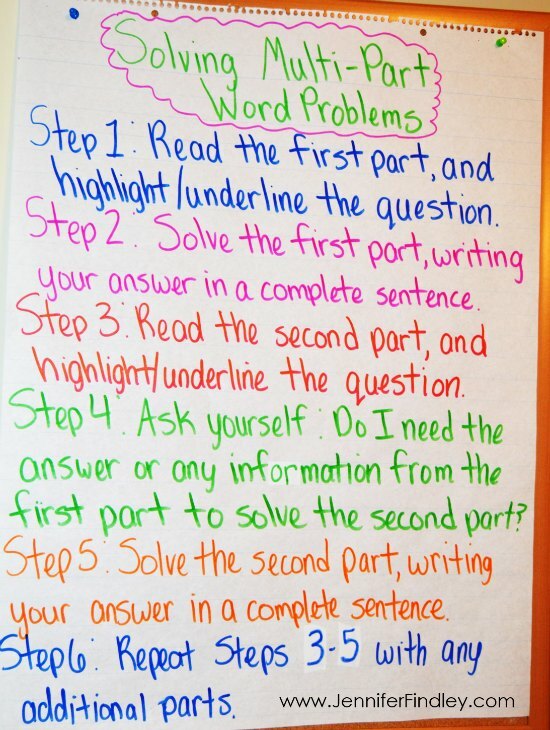 I love your anchor chart with simple steps for students! 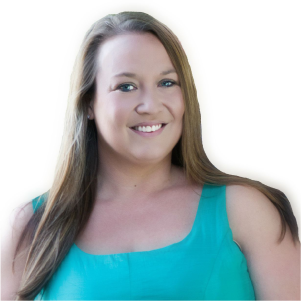 Terrific, especially with the rigorous expectations from each State Standard, thanks!